Once upon a time, there was no earth, only a vast realm of water below and sky above. The first people lived above the sky, for they could not live on water. One day, the sky opened up and through the hole fell a beautiful young woman and a tree. Two swans swam over to her, gently lifted her onto their backs, and took her to the Great Turtle. Turtle called all animals to a council, and when they gathered in a circle, he told them of the Woman Fallen from the Sky, and the tree with earth on its roots. He commanded them to bring up the tree from the water, and plant it on his great back, so that the woman could live there. After two unsuccessful attempts by Otter and Beaver to retrieve the tree, Muskrat dove down and stayed down for a very long time. 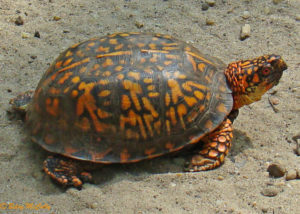 When he surfaced, he came up with the tree and a mouthful of earth, which he spit out onto Turtle’s back. There the tree grew, bending down one of its branches to root in the earth, and from this branch sprang the first man who together with the woman would bring forth future generations of people on Turtle Island. The people encountered by the Europeans in the 1600s called themselves the Lenapes, which loosely translates as “the common People.” They called their homeland Lenapehoking, a swath of land that stretched from the Lower Hudson region to Delaware Bay, including portions of New York, New Jersey, Pennsylvania and Delaware. Among Algonquians — Indians of diverse tribes who are united by a common root language — the Lenapes are “the Grandfathers,” the first Algonquian-speaking people from whom all others are descended. The people that settled in the New York City region were the Munsee, so-named because of the particular Algonquian dialect they spoke. The Shawnee-Minisink site in the Delaware River Gap, which is the historic heart of Lenape lands, has been dated to between 9,000 and 13,000 years ago. It’s thought that they migrated into the New York City region around 3,000 years ago. The Lenapes called the Delaware River Lenapewihitak, or River of the Lenape. The Europeans called the river the Delaware, after Sir Thomas West, Baron de la Warr, who governed the English colony of Virginia in the early 1600s. Because of their association with the Delaware River, the Lenape were named by Euro-Americans the Delaware. Map of New York City depicting pre-colonial Lenape territories. Despite regional variations in language and customs, the Lenapes were united by a complex system of kinship that traced their lineage back to common ancestors. At the time of European contact, they numbered around 20,000, divided into roughly twenty autonomous groups, closely interconnected through clan membership, which was traced through the mother. 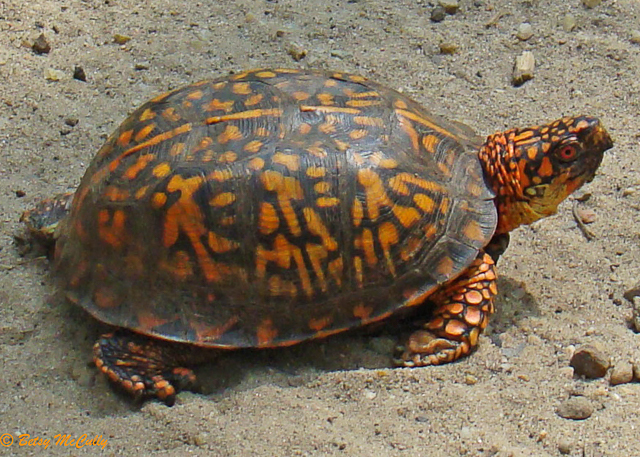 The Raritan lived on Staten Island and central New Jersey north to the Raritan river valley. The Haverstraw lived on the west bank of the Hudson, and had kinship ties with the Hackensack and Tappan of New Jersey. 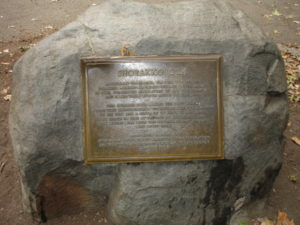 The Wiechquaeskeck lived on the east bank of the Hudson in the southern portion of the Bronx and Westchester, with ties to the Siwanoy on the north shore of Long Island Sound, including Pelham Bay. The Nyack lived on the east shore of the Narrows, with ties to the Hackensack. 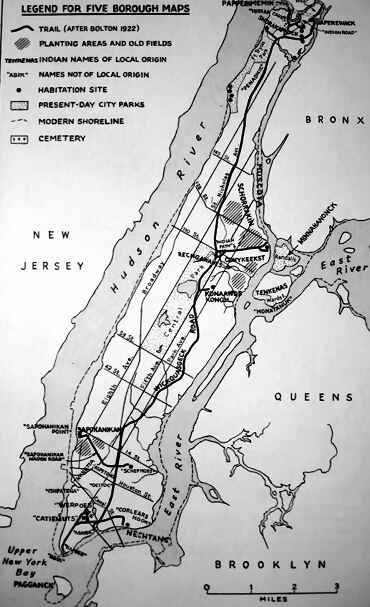 The Massapequa, Merrick, and Rockaway lived on western LI; the Matinecock lived on the north shore of Long Island from Queens to Suffolk County, and the Canarsee and Marechkawieck lived in what is now Brooklyn. 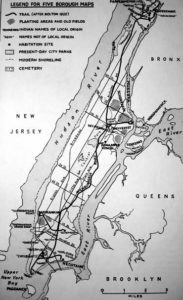 The names have a familiar ring; look at a map of the New York City region and you will see many of these names preserved as place names. Clan lands and dwellings were “owned,” or held in trust for the clan by the women as heads of households. Marriage often served as a means of maintaining bonds between different communities who shared the same land resources. The concept of shared land use was fundamental to Lenape society — and utterly foreign to the European system of land tenure. The ascendancy of the European system in North America would prove devastating to the Lenapes, whose communal identity was rooted in a land of fluid natural boundaries. 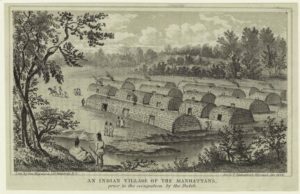 “An Indian Village of New York Prior to the Occupation by the Dutch,” George Hayward, lithographer, 1858. New York Public Library Digital Collections. What was the Lenape way of life? There lay near the house for the purpose of drying enough to load three ships, besides what was growing in the fields…. Although both men and women prepared the planting fields, women were the primary cultivators, just as they had been (and continued to be) the main wild plant gatherers. Indeed, the Corn Spirit is feminine: Kahesana Xaskwim, or Mother Corn. Only the growing of tobacco was reserved for men and elder women (past menopause). As they had for millennia, the Lenapes continued to hunt, fish, and gather wild foods as the mainstay of their diet. Men stalked deer and bear year-round. In the fall, however, hunting parties of as many as two to three hundred — women as well as men — organized deer drives. They hunted deer by first setting fire to a portion of the forest (the “fire surround”), then driving them into traps or snares. Men took fowl with nets or arrows, and caught fish with lances, hooks, drag nets, and weirs. Both men and women took part in fishing and shellfish gathering. Food-gathering, like food-growing, was always timed to the seasons. Year-round, the foragers — always women — knew where to find nutritious tubers. In summer, they searched for the little vine of the ground nut (Apios americana) growing along woodland streams to gather their walnut-sized tubers. In fall, they sought out the fat arrowhead-shaped leaves of Wapato (Sagittaria latifolia), poking out of the mud along pond edges, to harvest the plant’s potato-like tubers called water nuts. In winter, if the ground was not frozen, they dug Jerusalem artichokes (Helianthus tuberosus), potato-sized tubers of wild sunflowers that grew abundantly in the fields. 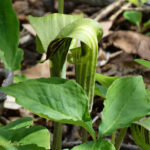 In the woodlands of early spring, women harvested the corms of the Jack-in-the-Pulpit (Arisaema triphyllum), dried them, and ground them into a cocoa-like flour. They also picked field greens like wild leeks and onions, which were plentiful in the spring. In summer, along the shores and fields, they gathered beach plums, wild grapes, and berries such as blueberries, cranberries, strawberries, serviceberries, and elderberries. In fall, they collected nuts such as chestnuts, hickory nuts, acorns, and walnuts. The Lenape Creator God, Kishelamakank, lives in the twelfth tier of the universe. When a person dies, their soul must travel twelve days to reach this tier. To govern the earth, Kishelamakank created the manito’wak (spirits), which included the Earth Mother (Kukna), Corn Mother (Kahesana Xaskwim), and the Keeper of the Game (Misinkhalikan, also known as Mesing’w, Masked Being). Everything in nature possesses maneto, and if offended, the maneto can cause mischief. To placate the spirits, the Lenapes performed such seasonal rituals as the “sacrifice of the first fruits,” whereby the fat of the first buck killed was offered to the Keeper of the Game. Similarly, burnt offerings of corn were made to the spirits of the deer and bear, of bear meat to the corn spirit, and of fish-shaped bread to the fish spirit. Tobacco (ksha’te) was used extensively in spiritual rituals; tobacco smoke would be offered to the crops at planting time, to the game animals before the hunt, to the forest before entering for the purposes of hunting and gathering—all to ensure a bountiful outcome and to offer thanks. Failure to perform these rituals was thought to bring terrible consequences. What happened to the Lenapes? No man can have visions because the earth is no longer clean…. Boulder with plaque commemorating the sale of Manhattan by the Indians to the Dutch at Shorakkopoch, in Inwood Hill. By 1760, most Delawares (as they came to be known) had moved to Ohio. For a detailed account of the series of removes westward and northward undertaken by the Lenapes through the eighteenth and nineteenth centuries, see Robert Grumet’s book on the Lenapes. The Masked Being first revealed himself to three abandoned boys in the woods. He showed them his faraway home in the mountains above the earth, and before returning he gave the boys courage and strength to endure. Later, in a time of great crisis for the Lenape people, he reappeared and instructed the boys, now grown into men, to carve his face in wood — the effigy of Mesing’w — and paint it red on the right side and black on the left. He promised to give the mask power so that it would do whatever was asked of it; and when a man wore his mask in a sacred ceremony, the Mesing’w promised to be there, living among the people. The Big House religion emerged in the 1800s as a spiritual revival among the Lenapes to sustain them during the diaspora, when they were forcible removed from their traditional homeland. In a ceremonial dance performed every year, Mesing’w was represented by an effigy face painted half red and half black. His representative, clad in a bearskin robe, wore the mask, and shook a turtle shell rattle as he sang a vision song and danced. For twelve days, the people offered prayers and thanks in the Big House, burning cedar smoke for purification. The Big House religion declined when the US government privatized tribal lands and abolished tribal government at the turn of the twentieth century. The last ceremony was held in 1924. Where are the Lenapes today? However fragmented and dispersed the Lenapes became, their culture and identity persists. Today, the Delaware number about 10,000. They reside within the Cherokee Nation, and are mainly concentrated in Oklahoma; Moraviantown in Ontario, Canada; and Brotherton, Wisconsin. A few speakers of the old language remain, but that may increase as there has been a recent revival of interest in the old tongue, as well as an attempt to restore religious songs, dances, and ceremonies. Cantwell, Anne-Marie and Diana diZerega Wall. Unearthing Gotham: The Archaeology of New York City. New Haven and London: Yale UP, 2001. ___. Touring Gotham’s Archaeological Past. New Haven: Yale, 2004. Grumet, Robert. First Manhattans: A History of the Indians of Greater New York. Revised Edition. Norman: University of Oklahama Press, 2011. ________. The Lenapes. NY: Chelsea House, 1989. ________. Place Names in New York City. Heye Foundation, Museum of the City of NY, 1981. Hitakonanu’laxk (Tree Beard). The Grandfathers Speak: Native American Folk Tales of the Lenape People. New York: Interlaken Books, 1994. Kavasch, E. Barrie. 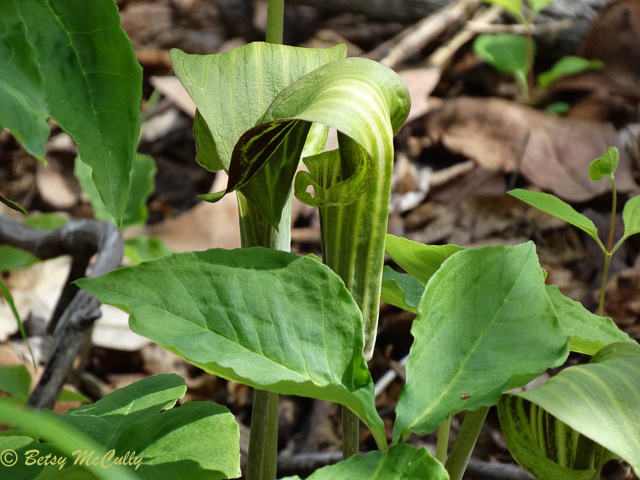 Native American Earth Sense: Herbaria of Ethnobotany and Ethnomycology. Ed. Alberto C. Meloni. Washington, Ct.: Birdstone Publishers, the Institute of American Indian Studies, 1996. __. American Indian Healing Arts. New York: Bantam/Random House, 2013. Kraft, Herbert. The Lenape: Archaeology, History, and Ethnography. Newark New Jersey: New Jersey Historical Society, 1986. Trigger, Bruce, ed. The Handbook of the North American Indian, vol. 15: The Northeast. Washington, DC: The Smithsonian, 1987.